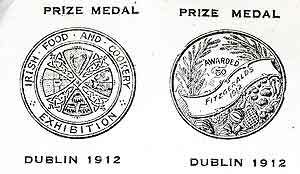 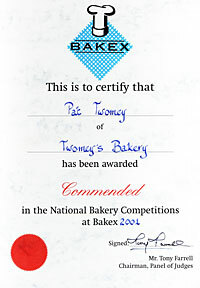 At a London exhibition of Craft Bakers Produce, James Fitzgerald, the founder of Twomeys Bakery,won 1st Prize for his brack. 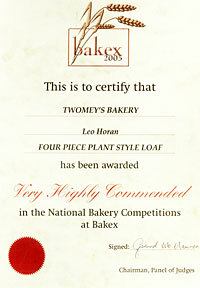 This recipe is still in use today. 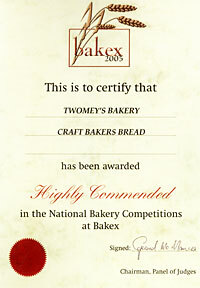 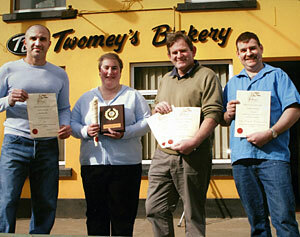 Twomeys bread was overall Commended as being a high quality craft bread. 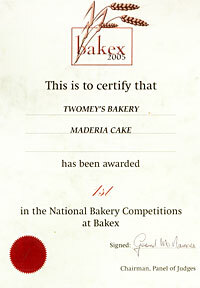 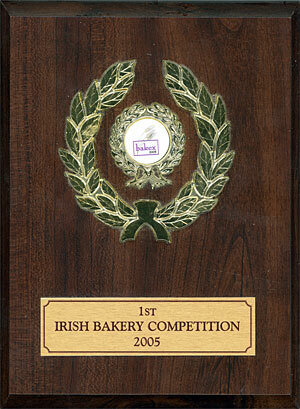 At the National Bakery competitions, Twomeys Bakery scooped the coveted 1st Prize for their Fruit Cake and Madeira Cake.